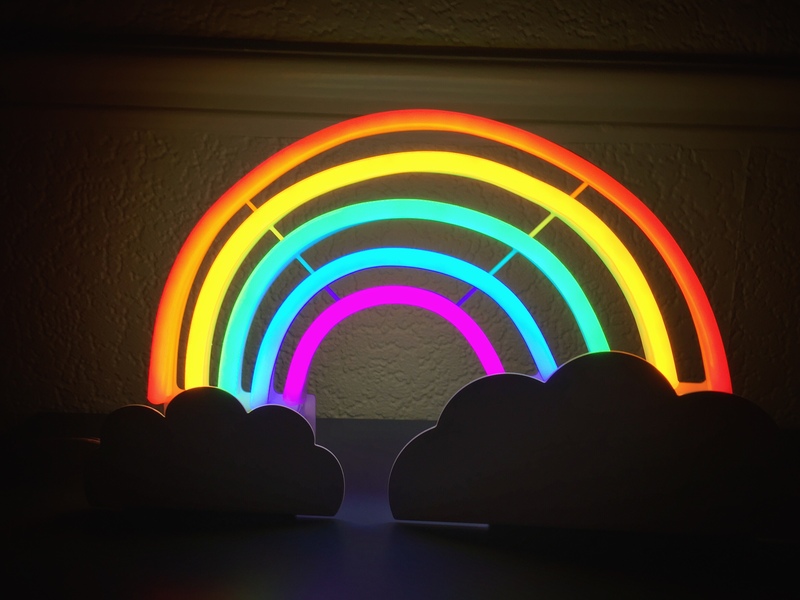 The much-vaunted Rainbow Project 2018 has launched… hooray! The Rainbow Project brings craft brewers from both sides of the pond together to create beautiful beer. They’re paired off, handed a colour for inspiration, and left to create. The results are as varied as they are delicious. For the past five years it’s been one of the highlights of the craft beer calendar. 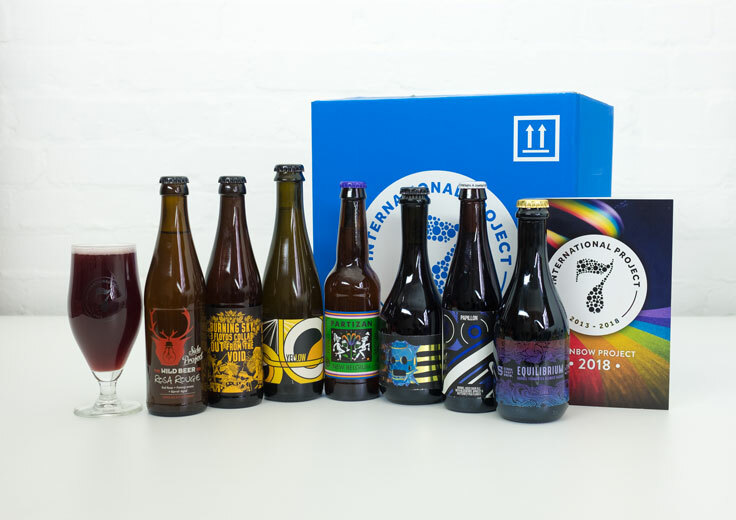 In many ways it’s also the epitome of the limited edition, ‘buy now or miss out’ attitude that can sometimes pervade in this exciting but sometimes exclusionary world of craft brewing. But that’s a cynical view, and one that we don’t really share. The Rainbow Project is a celebration of experimentation. It’s where the spirit of partnership that typifies craft beer is placed front and centre. In short, we’re enormous fans. It’s usually delicious, always interesting and to be honest, we also just think it’s cool. Rainbow Project 2018: what’s the deal? This year, it’s worthy of note for two reasons. More positively, 2018 is the year of barrel ageing. All seven of these beers were first brewed a year ago. They’ve spent the last 12 months ageing in a variety of different barrels, simply getting more and more interesting with every passing day. But we shouldn’t let that overshadow thing. Because this year, it looks like there are some genuine delights coming up. The 2018 Rainbow Project is now on sale, and we’ll be diving into these releases as soon as we get chance. In lieu of our own tastebuds, we’ll just have to settle for what the brewers themselves have to say about the fruits of their labour in the meantime. I suppose they know what they’re talking about. A mixed-culture, red wine barrel-aged saison with apricots. Except it’s not that simple: this is fermented using Modern Times’ house wild yeast and a wildly foraged yeast found on loganberries, of all things. A sour ale inspired by ancient Egypt, and aged on pinot noir grape skins for eight months… in an amphora, apparently! A barrel-aged sour ale with blueberry, apricot and butterfly pea flowers, and finished in beautiful French oak barrels. Mmmm… butterfly peas? This one isn’t messing around: a barley wine, aged in sauternes wine barrels. There are some vanilla pods and cacao nibs thrown in for good measure… because why wouldn’t you? Flying in the face of convention, this ‘green’ inspired brew is all about the flavour of older hops. Hops are usually associated with freshness but this plain wood-aged saison continues the two breweries previous theme of destruction and regrowth so we’re keen to taste the result! This one is especially clever, mixing the two brewers’ ‘blue’ beer from 2017 with a ‘red’ one to make violet. The red beer in question is a warm-pitched, red wine barrel fermented saison. Love it.